Last year, the Tampa Bay Lightning were one of the unexpected powerhouse teams in the Eastern Conference, leading the NHL in goals scored and finishing second in their division. On the backs of breakout seasons from their “Triplets Line”, the team made it all the way to the Stanley Cup Final, dispatching teams backstopped by Carey Price and Henrik Lundqvist along the way. Despite having so many players still on bargain contracts, the Lightning only made one notable offseason addition, signing depth forward Erik Condra to a three-year deal. After a disappointing first-round sweep at the hands of the Montreal Canadiens in 2014, the Bolts came back with a vengeance, beating the top two seeds in the East before ultimately falling short in a tough six-game final against the Chicago Blackhawks. With the same squad from last season largely intact, head coach and former Jack Adams Award finalist Jon Cooper will be under more scrutiny than he’s ever faced before. 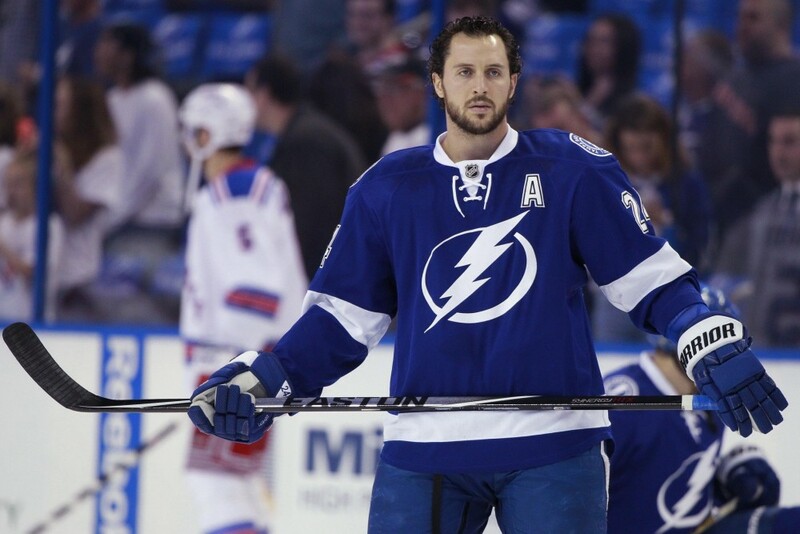 Can the young Tampa Bay Lightning squad take another step forward in 2015-2016? With team captain and face of the franchise Steven Stamkos right around the corner from free agency, could this be the last time this extremely talented roster is together for a shot at the Cup? Entering the final season in a 5-year, $37.5 million dollar contract, Steven Stamkos is facing more questions than a player of his calibre should be. After being outperformed in the playoffs last year by the dynamite trio of Ondrej Palat, Tyler Johnson, and Nikita Kucherov, Stamkos and his rotating door of linemates are now seen by many as the Lightning’s second line. 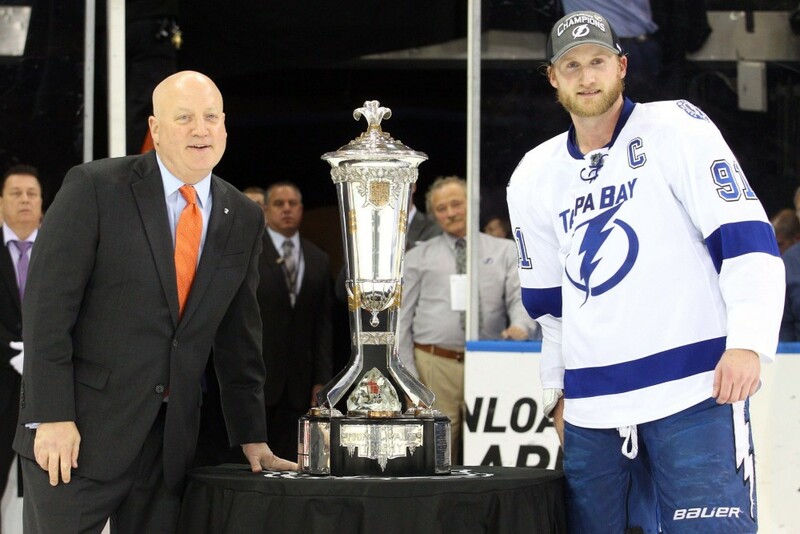 However, the Tampa Bay captain still rolled up an impressive season last year, tallying 43 goals and 72 points in the regular season and following that up with 7 goals and 18 points in 26 playoff games. With Stamkos’ agent Don Meehan stating with regard to a contract extension, “I don’t think we have any criteria on timing at this point in time,” his looming free agency casts a big question mark over the future of Tampa Bay’s captain and leading scorer. Regardless, Stamkos, undoubtedly the face of the franchise, is still one of the NHL’s elite players. Expect him to roar back in a big way after a somewhat lacklustre performance to close out the Stanley Cup Final. A former undrafted free agent out of the WHL, Tyler Johnson has done nothing but prove doubters wrong since entering the NHL as a full-time player two seasons ago. After finishing as a Calder trophy finalist in 2013-2014, Johnson broke out in 2014-2015, finishing the year tied with Stamkos with 72 points. In the playoffs, however, Johnson really shone on the big stage, leading the NHL in goals and points scored. With linemates Ondrej Palat and Nikita Kucherov young and firing on all cylinders, it will be up to Johnson to prove that his impressive 2014-2015 season was not just a fluke, and continue to provide prodigious scoring for the high-flying Lightning. 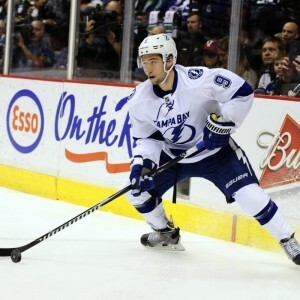 Another overlooked prospect discovered by the Lightning’s scouts, Kucherov was a 2nd-round pick in 2011. Despite his unspectacular draft status, Kucherov has done nothing but produce big numbers at every stop since being taken 58th overall in 2011. Playing on the “Triplets Line” with Johnson and Ondrej Palat, Kucherov racked up 29 goals and 65 points last season, and added 10 goals and 22 points in the playoffs. Heading into the final year of his entry-level contract, the extremely talented Kucherov can earn himself a huge payday by taking another step forward and producing another big year in 2015-2016. The third member of Tampa Bay’s impressive young Triplets Line, Ondrej Palat has blown past all expectations since being selected with one of the final picks of the 2011 NHL Draft. Progressing through the AHL and finally cracking the NHL lineup in 2013-2014, Palat has tallied 122 points over the past two seasons. He also raised his game in the playoffs and was an integral part of the Lightning’s run to the Final, posting eight goals and 16 points in 26 games. With just two years remaining on his contract, Palat can solidify himself in the Lightning’s long-term plans and as one of the top young two-way forwards in the game with another strong season next year. 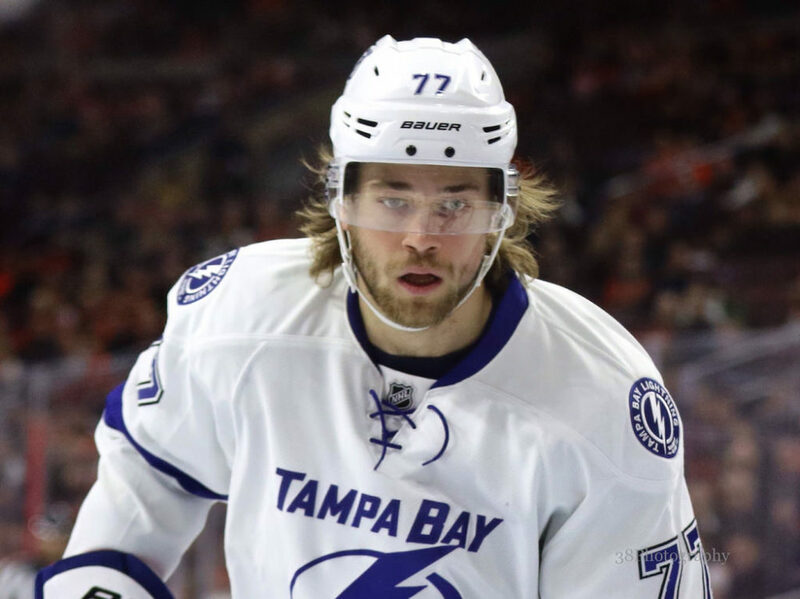 Hedman has had tremendous expectations placed upon his shoulders since being selected with the second overall pick in the 2009 NHL Draft, but has finally lived up to those expectations with his last two strong seasons. 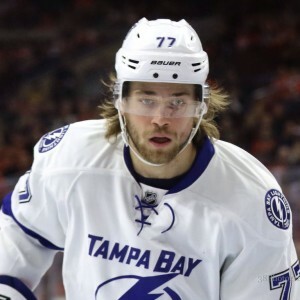 An imposing presence on the blue line at 6’6″ and 235 pounds, Hedman was undoubtedly the leader on defence for the Lightning in both the regular season and playoffs. 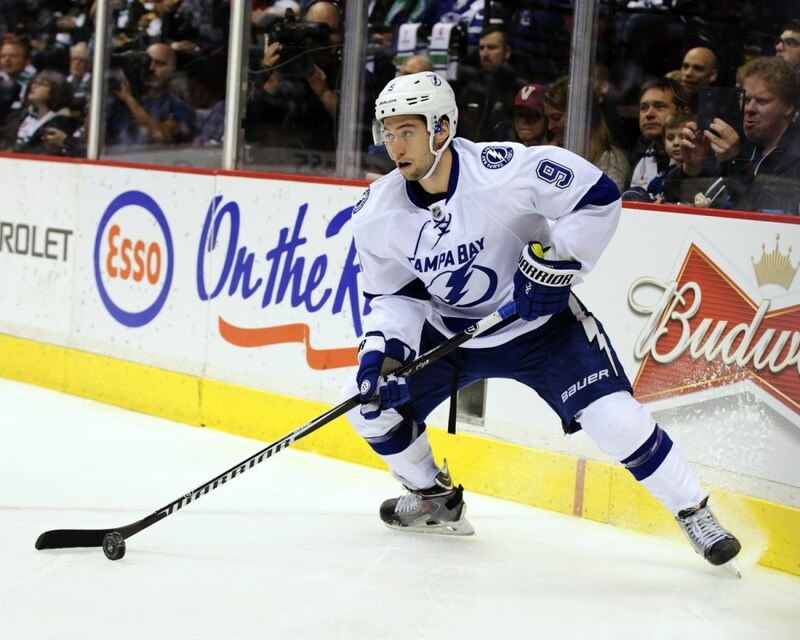 Despite missing more than 20 games due to injury, Hedman still notched 10 goals and 38 points in just 59 games. In the playoffs, Hedman consistently matched up against tough competition and excelled, cementing himself as the number one defenseman on the Lightning. With just one season remaining on his contract after 2016, Hedman can set himself up for quite a large payday if he continues to improve his game and work his name into the discussion of top defensemen in the game. Unlike Hedman, Stralman was never a highly regarded prospect, being selected by the Toronto Maple Leafs in the seventh round of the 2005 Draft. Signed last offseason to a five-year contract as a free agent, Stralman had his best season as a professional, scoring 9 goals and 39 points. He also made a big impact in the playoffs, notching nine points and playing on the team’s top power play unit with the “triplets” and team captain Steven Stamkos. Under contract long term, it’s up to Stralman to prove that last season was not a fluke and solidify his role on the top pairing alongside Hedman. A trade deadline acquisition for GM Steven Yzerman last year, the Lightning were forced to cough up a first-round pick, a third-round pick, and young top-six defenseman Radko Gudas to land Braydon Coburn from the Philadelphia Flyers. Coburn was a regular member of the Lightning’s top-six defenders in the playoffs last year, even potting a series-winning goal against the Detroit Red Wings in the first round. Entering the final year of his deal, Coburn can make or break his future with Tampa Bay depending on his performance in the upcoming season. Tampa Bay has an impressive stockpile of young defense prospects, so if Coburn struggles to maintain his previous level of play, expect the Lightning to be hesitant when offering him a new contract. In 2012, Matt Carle was Steven Yzerman’s first real free agent splash, when he was signed to a six-year contract. However, since moving his talents to Florida, Carle has steadily become a less important part of Tampa Bay’s defensive corps. Culminating last year in the playoffs, Carle was demoted to the bottom defensive pairing, averaging just 16:30 of time on ice per game. With the Lightning having to deal with a bit of a cap squeeze in the upcoming season, Carle and his $5.5 million dollar cap hit could become a prime candidate to be traded if he doesn’t step up his game in 2015-2016. After turning heads in a Vezina Trophy-worthy season in 2013-2014, Ben Bishop entered the 2014-2015 season as the clear-cut starting goaltender. While he turned in another strong season and played in more than 60 games for the second year in a row, Bishop’s stellar goaltending wasn’t enough to mute the excitement over Andrei Vasilevskiy, the team’s first-round pick in 2012 and second on the Lightning’s goaltending depth chart. Bishop, entering the first season of a two-year, $5.95 million contract extension he signed last year, was still the team’s starting goaltender for the duration of the 2015 playoffs, but Vasilevskiy shone when called upon. Again, the Lightning could experience a bit of a cap crunch with multiple players needing contract extensions in the coming seasons. If Bishop falters as the de facto starting goalie this year, don’t be surprised to see the team hand the reins to Vasilevskiy. 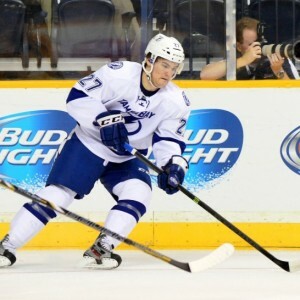 Jonathan Drouin, the third-overall pick in the stacked 2013 NHL Draft, was seen by many at the time as the eventual successor to Martin St. Louis as Steven Stamkos’ personal setup man and first-line forward. After being sent back to the QMJHL by Tampa Bay and dominating in 2013-2014, he broke camp with the Bolts last season and the lofty predictions began. Would he win the Calder Trophy? Was 70 points within reach for the talented young forward? 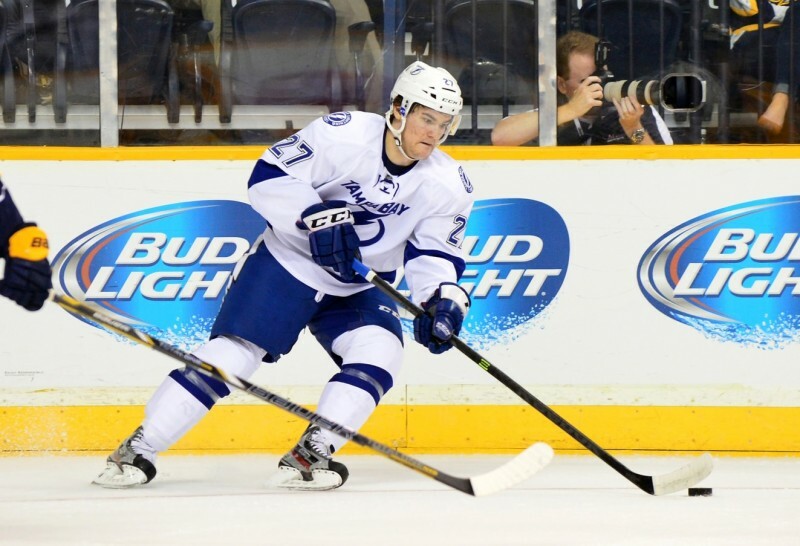 Drouin ended up falling short of expectations, scoring just 4 goals and 28 points in 70 games. Still extremely talented but buried on a deep Lightning team, Drouin has the talent to crack the top-six forward group and play alongside Stamkos. His sublime playmaking ability could give Stamkos the steady wingman he seemed to be missing for most of last season. Acquired in the trade that sent longtime Bolt Martin St. Louis to the New York Rangers, Callahan signed a huge six-year, $34.8 million dollar contract last offseason. Many questions were thrown around regarding his reckless style of play and declining scoring numbers, but his leadership experience and value to the team were cited as reasons for the contract given by Yzerman. He responded with one of the best seasons of his career, totalling 24 goals and 54 points, tying his career high in the latter category. However, he struggled in the playoffs, notching just two goals and eight points in 25 games. With rising star Drouin pushing for more ice time alongside Stamkos, Callahan has to step up his game from his playoff performance if he wants to maintain his role as a top-six forward. Steve Yzerman, the reigning GM of the year, has done nothing but stockpile talented young players since taking over as GM of the Lightning in 2010. One of the youngest teams in the league, the Lightning were unfazed after being swept out of the first round of the playoffs in 2014 and made it all the way to the Stanley Cup Finals last season. While captain Steven Stamkos is a lock for a 40-goal season, the Lightning have several other young forwards capable of carrying the offensive load, making Tampa Bay one of, if not the most, dangerous offensive squads in the league. Despite Stamkos’ lingering contract expiry coming up next offseason, the team is primed for contention for several more seasons due to the relative youth of their team and depth at all positions. There aren’t many weaknesses with this squad, which has them rated as the early favourite to capture their divisional crown, if not the top spot in the entire Eastern Conference.